Daily Cheapskate: Persil Laundry Detergent, now at 8.6 cents per ounce on Amazon! Less than my Tide buy-now price! Persil Laundry Detergent, now at 8.6 cents per ounce on Amazon! Less than my Tide buy-now price! Used to be that Tide was considered the best laundry detergent out there, until about a year ago, when European import Persil took up that mantle. Now they seem to be running very closely in performance, but I've always wanted to try Persil. Unfortunately Persil has always been priced way out of my price range. 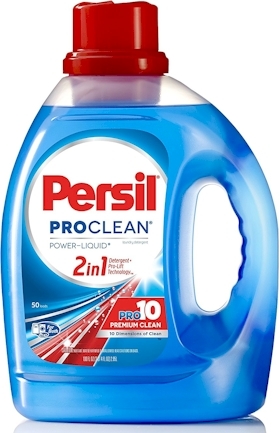 Amazon recently released a 20% off online coupon for Persil, and now there are several Persil deals on Amazon that fall under my Tide buy-now price of less than 10 cents per ounce; here's the best one.